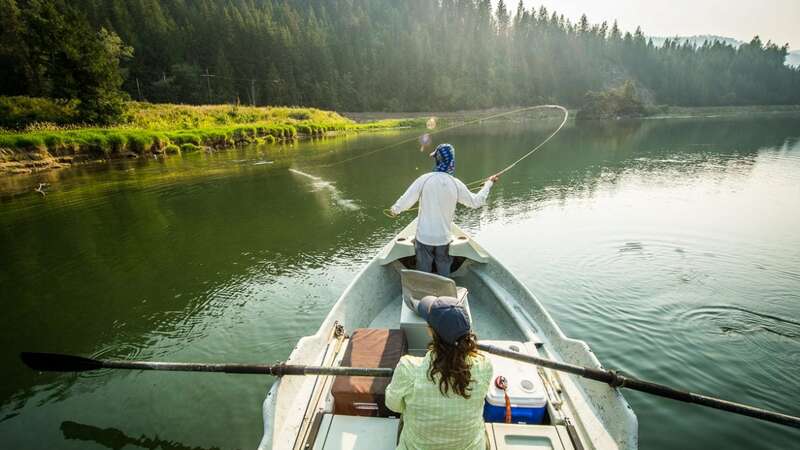 Our favorite summer game here in Kootenai Country, bar none, is fishing big single foam dries. We love how visual it is, how violent, how it brings the bigger fish up. 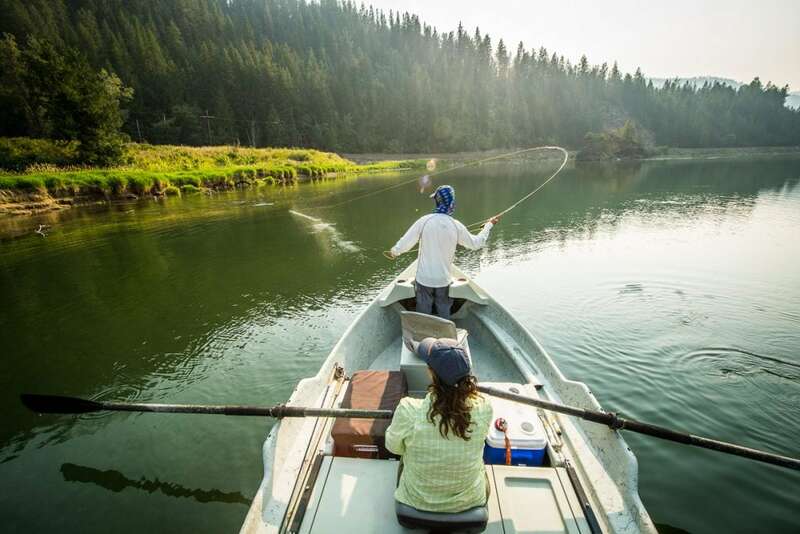 The flies are no problem to pick out on the water with their quivering legs and garish colors, and the strikes are impossible to miss, with fish often doing backflips and coming back for a second smash. After a good day of playing this game, the foam tops will be so full of teeth marks the fly starts becoming a sponge. Our water is also crystal clear, and the depths we pull fish out of often quite deep, that it’s not uncommon to witness the whole process from start to finish: the fish unhinging from the bottom and streaking up to breach the surface, some attacks quicksilver and some slow like molasses. One of the more challenging aspects of this type of fishing is the hook-set. I think with any large surface fly, your ratio of hooked to missed fish goes down regardless of skill. 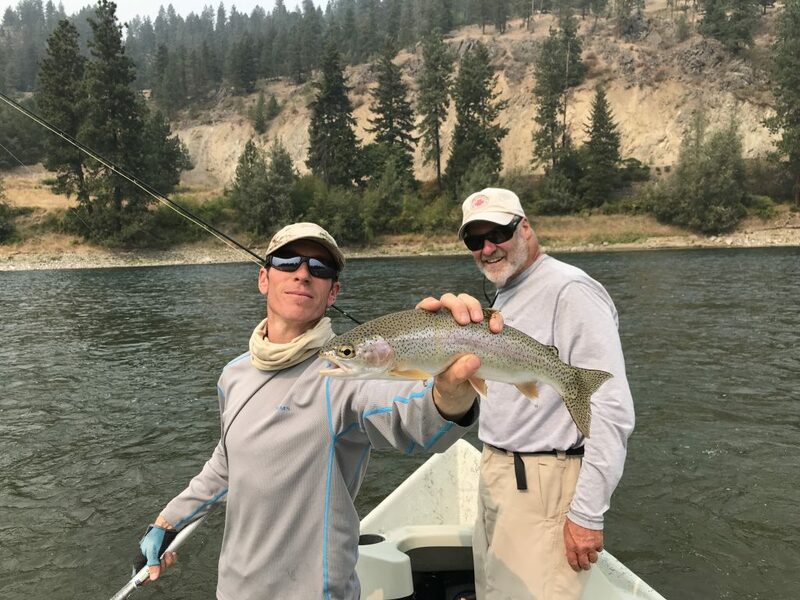 There’s more surface area for one thing: if the fish goes over the top of the fly and crushes it’s back, a common tactic of theirs on the Kootenai, setting the hook rarely results in a fish on. And if you ‘re twitching the fly to elicit strikes, which we absolutely endorse, there are more moving pieces in play, and more potential for crossed wires. That said, we’ve picked up a few tricks along the way to help even the odds with setting the hook on big dries. The first and foremost is good advice across the board: pay attention to the fish’s behavior and vary your timing accordingly. A successful hook-set with a big dry is all timing, and the fish ultimately determine that. Some days they are fast and require lighting reflexes, but far more often, especially with the bigger fish, they are slow and confident and take their time getting all that foamy goodness in. It can be difficult to wait when you see them come up, but if you are consistently missing fish on big dries, wait a full beat until you set the hook and see if your odds don’t improve. The second piece of advice has to do with twitching and skittering your fly. The goal here is to make minute twitches that generally trend upstream, at least when fishing out of the boat. It’s far too easy to over or under-manipulate your fly with zealous mending or not mending mending at all. A fast swinging fly may elicit swipes from fish, but it’s rare they’ll get it in. Instead, give them something that appears to be an alive and natural, but also entirely achievable, meal. That means getting a good downstream drift and continually managing your line to produce an alternating combination of dead-drift (slack to the fly) and small upstream twitches (no slack). A bit of a trick, but it absolutely will help the fish eat your offering instead of bat at it. Fish behavior tells you a lot here too: some days they like the twitch, some days they want it still. Play around with your dead-drift and twitch modes on the water until you dial it in. The third trick is, if you miss the fish and don’t sting him, get back in there. You’ll often see them waking around in the top of the water column looking for the winged meal they just maimed and ready for more. These things have all helped us improve our big dry game. Some days though, they are just plain suspicious of big dries however well they’re fished, and short-strike or bump the fly without opening their mouths. It’s important to recognize those days if hooking success is important to you, and go with smaller fare. Or keep playing the game, as we often do, and have a great day with more encounters than fish to hand.